Rod Wilson planned to spend his golden years growing lavender and Christmas trees when he bought a five-acre farm outside Moncton a few years ago, but the call of a new niche industry proved too strong. With a group of investors he also calls friends, Wilson is hoping to get in on the ground floor as a grower of small-batch, high-quality cannabis. "How often in your career do you get a chance to potentially participate in something that's brand new, ground floor?" he asked. "I thought it would be an interesting idea to be one of those pioneers." A 70-year-old New Brunswick man suffered a heart attack and experts are saying it’s because of cannabis lollipop. The Canadian Journal of Cardiology published a report on Monday detailing the case and how this lollipop may have led to the man’s heart attack. The gentleman was reportedly looking for something to alleviate his arthritis paid and tried the cannabis lollipop. The lollipop contained 90 mg of THC. To put into perspective, an average joint typically contains around seven mg.
Dalhousie University cardiologist Dr. Alexandra Saunders spoke to sources about the incident. The University of New Brunswick in Canada has announced the hiring of its first research chair to focus exclusively on the health benefits of cannabis. Yang Qu will serve as the cannabis health research chair and assistant professor at the university, according to media reports. The new position is being funded by pharmaceutical company Tetra Bio Pharma of Toronto and the New Brunswick Health Research Foundation. As retailers across Canada are plagued with cannabis shortages, the province of New Brunswick has not been immune. Cannabis NB did not open half of their retail stores on Monday because of supply issues. 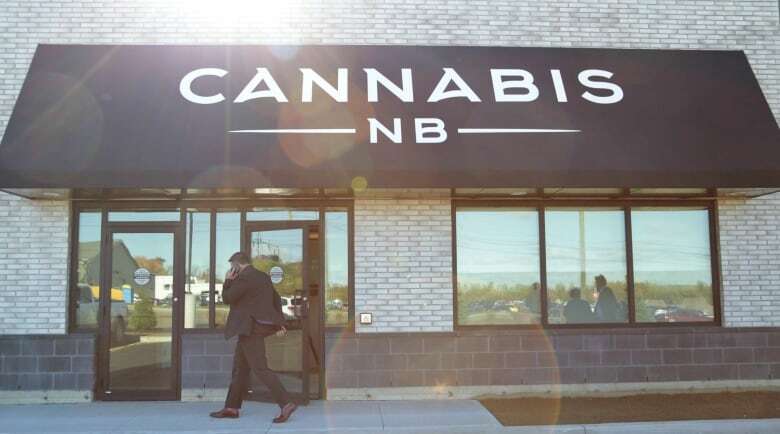 Cannabis NB is the sole retailer of legal marijuana in the province and of their 20 available location, 10 were unable to open on Monday due to a stock shortage over the weekend before Monday and Tuesday’s deliveries. “[This weekend] we only had to close the one store for a few hours, and another store for a day,” said Marie-Andrée Bolduc, a spokesperson for Cannabis NB in an email to Global News. Cannabis consumers who love weed but hate the smell should check out LUKY8 - a new odor-eliminator specifically designed to eradicate the smell of cannabis. Prelam Enterprises - the New Brunswick-based company behind Just’a Drop bathroom spray - have launched LUKY8 to coincide with cannabis legalization in Canada, writes Civilized. Legal pot is here. But what do the stores look and feel like? It's a historic moment. For the first time in 95 years, cannabis is legal in Canada. In New Brunswick, 20 Cannabis NB stores are open to the public. Here's what they look like. Inside Cannabis NB stores, no photos or videos are allowed. Posters around the walls remind people they must respect the privacy of others. The stores resemble electronics shops, with minimal designs and white and black walls adorned with plasma screens. Surprisingly, the cannabis aroma is barely perceptible despite the many products on display. The three major universities in the Canadian province of New Brunswick have revealed their on-campus cannabis regulations, writes Calvin Hughes. A small First Nation's community on the border of Quebec and New Brunswick is making a big move in the cannabis industry. Madawaska is set to become the first reserve in New Brunswick to operate a licensed cannabis producer, writes Calvin Hughes. Adult use recreational marijuana will be legal in Canada on October 17, 2018. As we write this, every Canadian province is working to get ready. But one province is leading the pack: the Maritime province of New Brunswick, writes Neil Bonner. Hip, monochromatic colour palette with tasteful pops of green. Photo murals of local landmarks. Faux succulents and wheatgrass. Dozens of shiny screens. Cannabis NB locations will look more like high-end electronics stores than the places that New Brunswickers fond of weed are used to buying it — and the bud will be categorized according to what you plan to do once you're high. 'I think this is the first government cannabis store in the world,' said Brian Harriman, president and CEO of Alcool NB Liquor and Cannabis New Brunswick.